This wedding truly has my heart all a flutter. The location. The Rara Avis dress. The flowers. The golden hour light. The wedding breakfast table. The cake. Honestly, I’m slightly breathless. 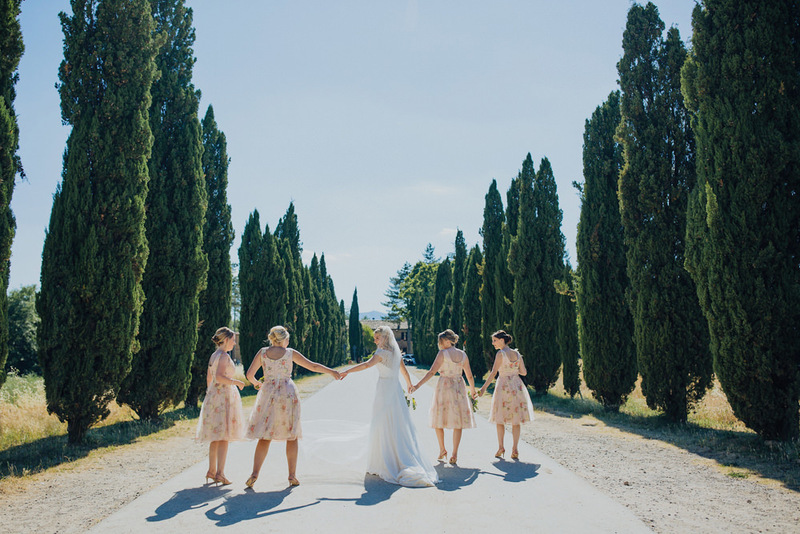 This fairytale Tuscan wedding is romance personified and could not be more picture perfect. 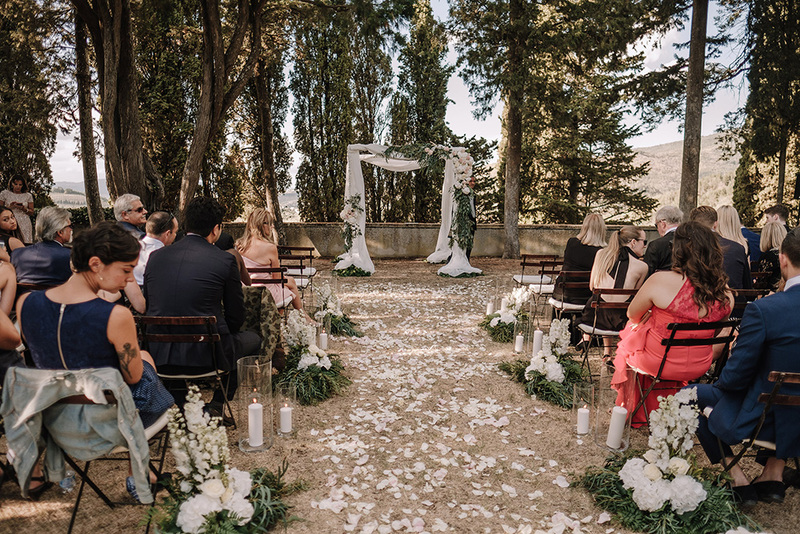 Lauren and Craig’s wedding story which took place in Southern Italy between the stunning surroundings of Monastero San Silvestro and the beautifully classic town of Cortona in Southern Tuscany and what a picturesque sight it is too. Especially when blessed with beautiful golden light, framing some truly gorgeous couple and bridal party portraits. Just wait until you see the ladies spaghetti strap gowns. Slinky satin and delicate lace make these ladies the epitome of style and grace. If this doesn’t make you want to book a destination wedding in Tuscany immediately, I don’t know what will. The views are to die for and wedding venue Vignamaggio is the ultimate setting amongst all the beauty. Emma & Jake compliment it beautifully with simple but stunning white and green flowers, and the most stylish wedding stationery and signs. Not to mention an adorable vintage ape bar. 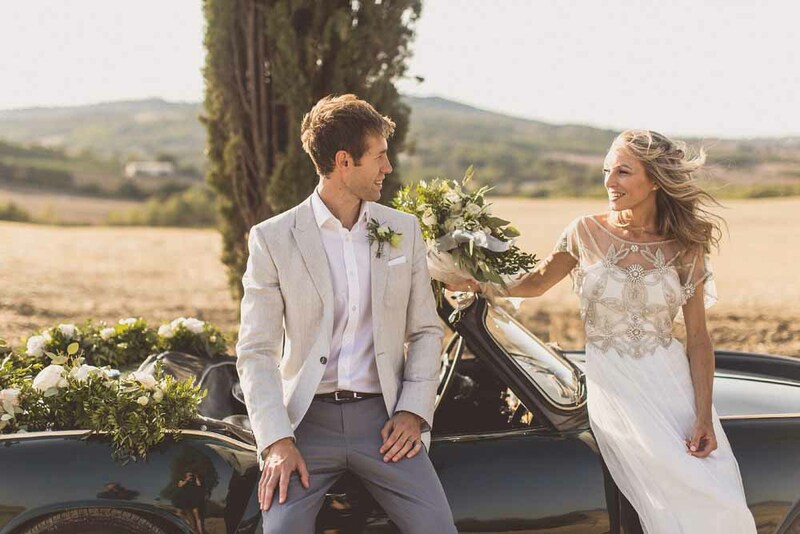 Bride Emma is a vision of beauty in a lace Pronovias gown & veil bought lovingly by her Nan, and Jake looks dapper in a light blue linen suit from Suit Supply. Talk about couple goals. 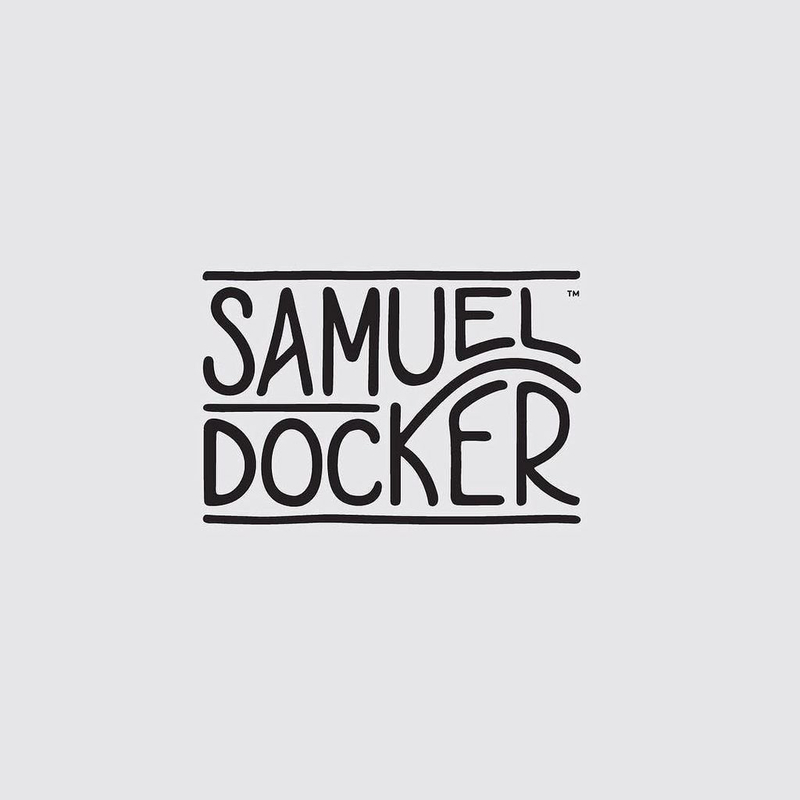 After you’ve swooned over the images by Samuel Docker, I strongly urge you to sit back relax and watch the heartfelt film by Paul Van too. Warning you may end up crying in your cornflakes (other breakfasts are available!). Set the scene. Boy meets girl. They fall in love and become three. 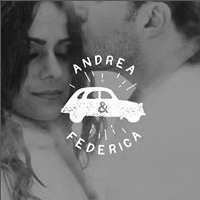 Followed by a heartfelt proposal and a stylish pink wedding in Tuscany to celebrate their love. 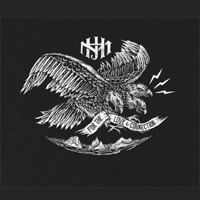 And when I say stylish, I mean, hold on to your hats because this is unbelievably beautiful. 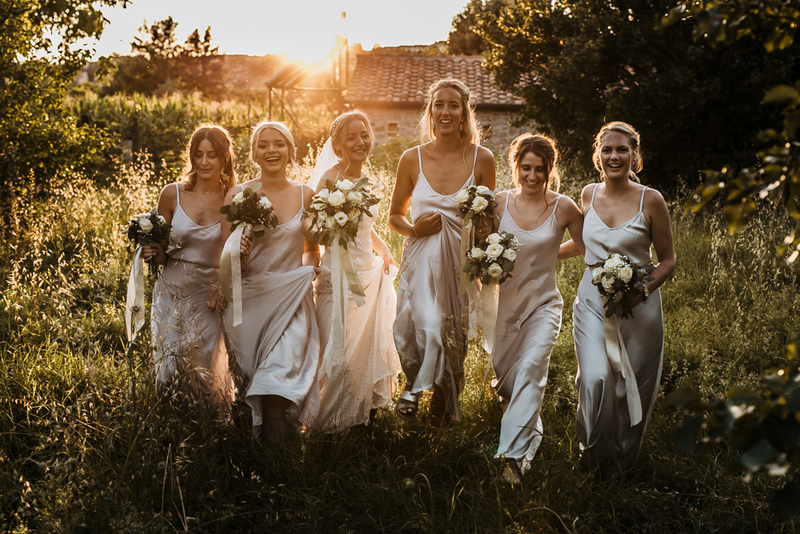 The gorgeous blush tones in the florals and bridesmaids dresses are just a delight, not to mention bride Anna’s exquisite Sartoria Cucciaioni bridal gown with high neck and illusion lace detail. And if that wasn’t enough she slips into an epic gold glitter number for the evening too which is absolutely dazzling. 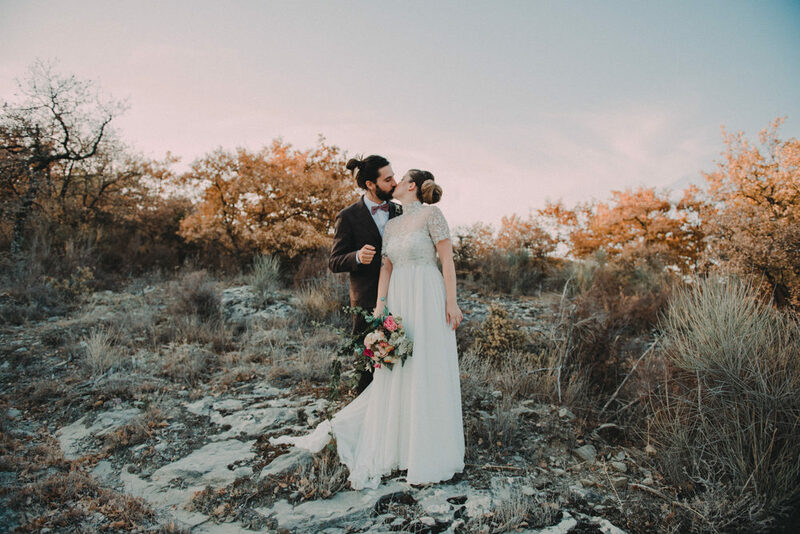 Each image by Lucrezia Senserini will touch your heart and fill you with emotion, as well as inspire you for your own big day. Especially the succulent wedding favours. so Pinning fingers at the ready peeps, enjoy! 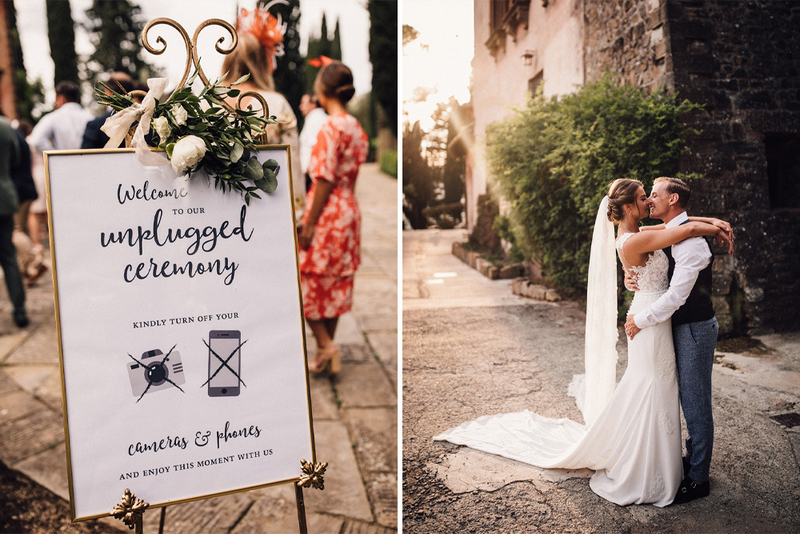 With 20 guests, this intimate wedding in Tuscany is relaxed, personal and prosecco fuelled. Alice, the Bride wears a stunning David Fielden gown with lovely, elegant modern lines. Her groom isn’t too shabby in a custom made Beggars Run suit, a firm fave for the RMW groom. Worn by Al, Alex, Euan, Thomas, Matt, Jack, Jonny, I mean I could go on. We love a sneaky costume change and second outfit for a Bride, I mean if you can then why not right? When your second outfit is a swimsuit and your wedding screams pool party you’ve achieved something pretty special and we, at Rock My Wedding towers are fully into it. 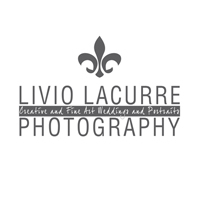 Fabulous photography by Livio Lacurre. This incredibly pretty, destination wedding comes with a tissue warning. 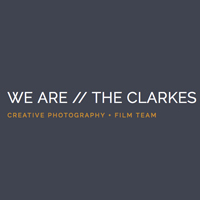 The emotional first look and outdoor wedding ceremony captures by Jason Mark Harris are absolute tear jerkers. 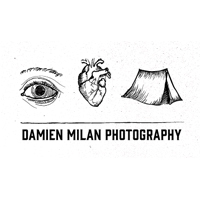 Which is exactly what you want from your wedding photographs. Then come all the candle light reception pics, which scream luxe. Just like the wedding party attire. Hello there groomsmen in Tuxedos and wowsers bridesmaids and bride in Monique Lhuillier gowns. The blush pink, pure white and greenery flower arrangements will also have you picking your jaw up from the floor, so get yourself comfortable and enjoy this one lovelies, it’s a goodie. There’s nothing like a gorgeous sunny day to put a smile on your face, and this spectacular destination wedding has had me beaming from ear to ear. First up an intimate ceremony at San Galgano Abbey, which used to be a monastery in the 15th century before the roof collapsed in the 17th century leaving it as it is today, a totally mesmerising place to get married. 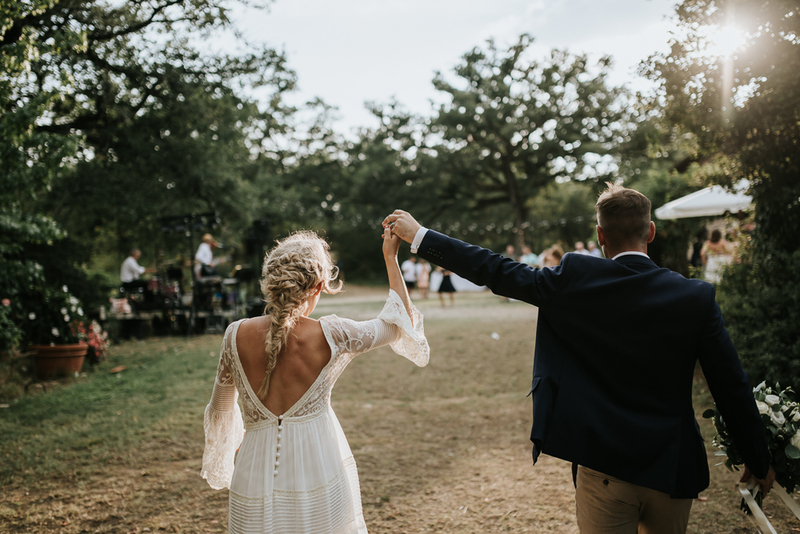 Next up was the dreamy outdoor reception in the Tuscan hills at Villa Podernovo with festoons lighting up the dance floor and highlighting the reception as well as all their guests happy faces. Both Lush Imaging and Mrs Mashup films are members of our hand picked wedding supplier directory The Love Lust List, so you know you’re in for a treat.